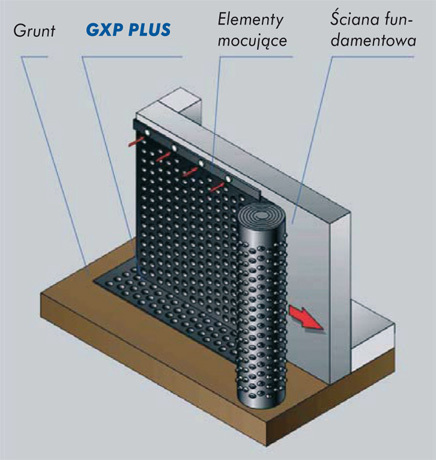 Folia kubełkowa GXP Plus - GRILTEX Polska sp. z o.o. Dimpled foil. 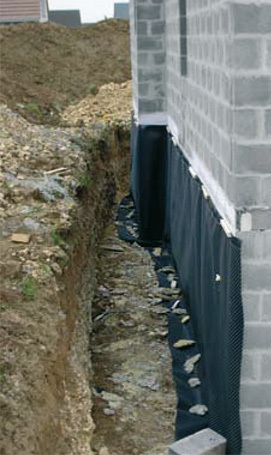 Insulation and protection of foundation walls. 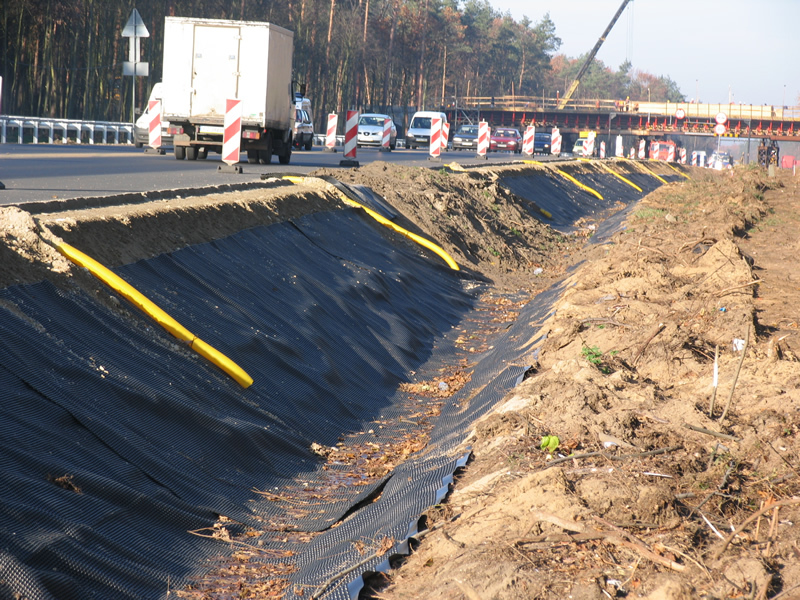 Geomembrane GXP Plus is made of high density polyethylene (PEHD). 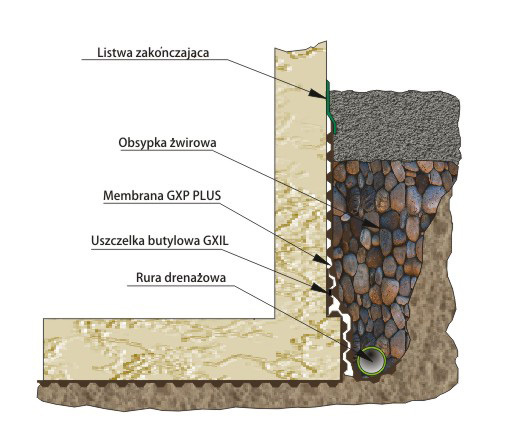 Perfectly protects, insulates and protects underground parts of foundations and walls in vertical arrangement and eliminates capillary water rise in horizontal arrangement. Asymmetric arrangement of dimples in pyramid form gives the geomembrane very high strength to compression and tearing. The dimples are ideal for removing moisture from foundations thanks to air circulation. Improves thermal insulation of foundations. High compression strength (see technical specifications) enables durable and effective use of the system under soil pressure. 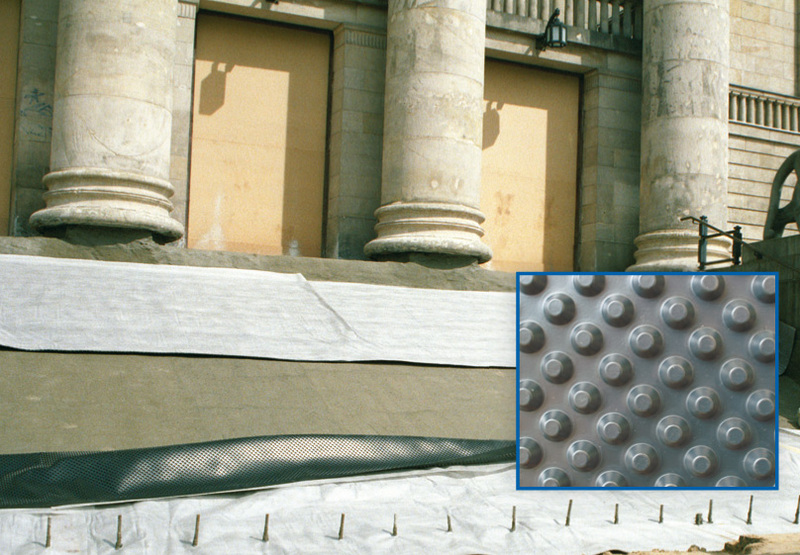 Geomembrane GXP Plus is not crushed by soil which means long-term insulation and protection. 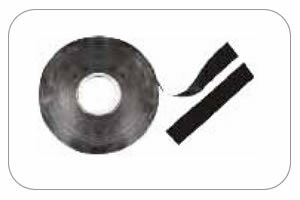 Geomembrane GXP Plus is easy and simple to install thanks to wide range of accessories. 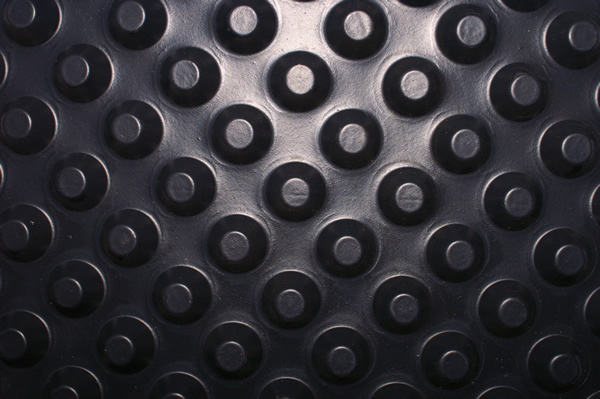 Geomembrane GXP Plus is resistant to chemical compounds, fungi and bacteria from soil and also to root penetration. Completely neutral to the environment. 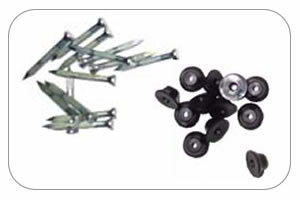 Fix dimpled foil sheet to walls with nails/studs and plastic sealing buttons. Use quick-fix plugs when installing the foil on foamed polystyrene. 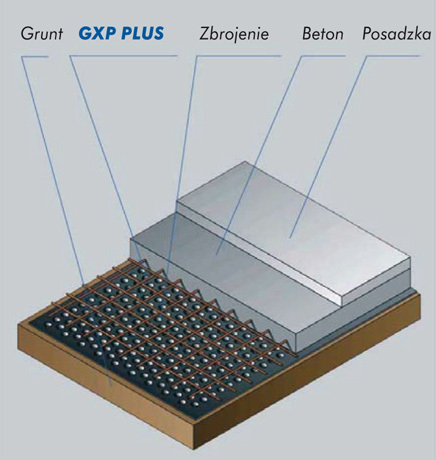 Place nails/plugs in the flat strip of foil or flat area between dimples (2-3 fixing elements per running metre). Do not damage the dimples during installation! 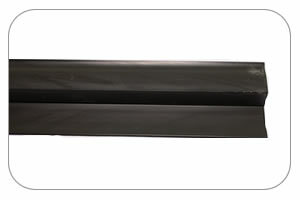 Seal the joint of the sheets with butyl rubber tape (use one or two layers depending on the conditions) to make tight connection. GXP Plus dimpled foil should be installed with dimples facing wall.